After floating around in a Men In Black-adjacent limbo for the last few years, it sounds like Sony’s pleasantly profane 21 Jump Street franchise might finally be getting back on track: Collider reports that Tiffany Haddish and Awkwafina—who, between Girls Trip and Crazy Rich Asians, had some of the most successful film comedy moments of the last few years—are both being sought to star in its latest installment. An all-female 21 Jump Street “continuation”—not a reboot, as Sony’s marketing team has been quick to remind people, lest fans fear that the rich 2-1-J-S narrative universe was just being tossed aside—has been in the works for a while now, with 22 Jump Street writer Rodney Rothman supposedly attached to direct. 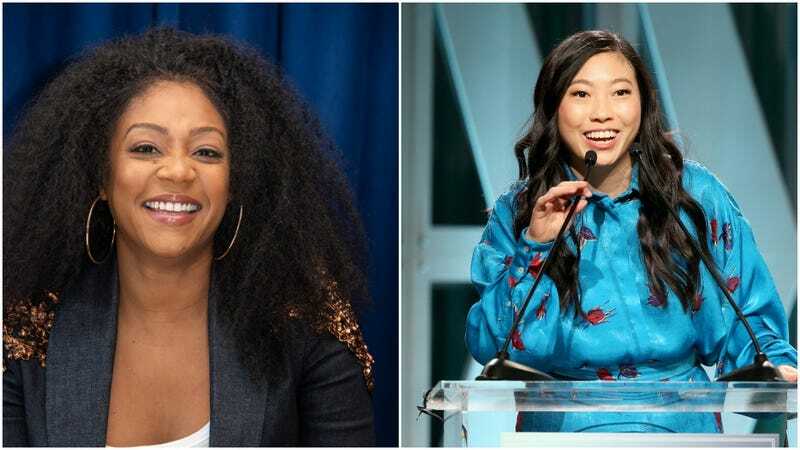 Haddish is apparently in active talks for the film—she’d supposedly be playing a teacher infiltrating a school—while Awkwafina is “at the top of Sony’s list” to play her younger partner. The 21 Jump Street films surprised everybody (at least, everybody unfamiliar at the time with the work of directing team Christopher Miller and Phil Lord) by being way funnier and smarter than a movie remake of an old Johnny Depp cop show might be expected to be. A lot of that has to do with the talent on display in front of the camera, too, so, it’s nice to see that the studio isn’t skimping on picking up some of the funniest people working in movies right now in order to carry the weight.